(237) IN my fifth book of the Proof of the Gospel the doctrine of the Father and the Son has been clearly defined in the confession of one Almighty God, and in the proof of a Second Being coming after Him as Head of all begotten things, Whom the Holy Scriptures named of old the Firstborn Wisdom of God, the Only-begotten Son, God of God, the Angel of Great Counsel, the Leader of the Host of Heaven, the Minister of the Father, yea, even Lord of the Universe, Word of God and Power of God, and if now the witness of the prophets should shew that they foretold that God intended to come to men, it will be abundantly evident to whom we must apply this prediction, especially as. according to what I have said already, the Word of God, under the Name of Lord and God, appeared to human eyes, to the pious men of Abraham's day, made in the form and likeness of man. So let us now examine any such predictions of the Hebrew oracles, that now the Ford, now God, would descend to men and again ascend in their sight, and the causes of His descent: and you will note that some prophecies arc veiled and some clearly expressed. I hold that the secret prophecies were delivered in a disguised form because of the Jews, as the predictions concerning them were unfavourable; because they would most probably have destroyed the writing, if it had plainly foretold their final ruin; just as history shows that they attacked the prophets, because they rebuked them. But the prophecies that are clear include beyond all doubt |2 the call of the Gentiles, and announce the promises of the reward of holiness not only to the Jewish race, but to all men throughout the world. As this is so, we must now hear the divine oracles. (238) Of the Sojourn of the Word of God with Men. The Shewing forth of the Coming of God to Men, and the Consequent Call of the Gentiles. "Who being in the form of God, did not consider it a prize to be equal with God, but emptied himself, and took the form of a servant." " 43. Save me from the gainsayings of the people, thou wilt make me the head of the Gentiles. A people whom I have not known shall serve me. "45. The strange children waxed old: and grew lame from their paths." I will examine in the proper place what meaning is to be attributed to this. The Ascent of God Who had First descended, and the Calling of all the Gentiles thereafter, to know the One and Only God. WHAT can the Ascension of the Lord God here mentioned imply, but a Descent previous to His Ascension, after which the calling of all the Gentiles is again prophesied, and good news of joy and gladness announced to all nations in their future knowledge of God, when the Lord Himself, He that is the one Most High God and King of all the earth, is said to subdue the peoples under us. And who are meant by "us"? Surely those who give the prophecy: which will be clearly seen to be fulfilled, when all the nations that believe in Christ are subdued to the teaching of the prophets. Or they might be spoken in the person of our Saviour's apostles, who also could say, "He has chosen out an inheritance for us." And what else could be understood by "his inheritance," but the calling of all nations, which the Christ of God shewed forth Himself, when He said: "The Lord said unto me, Thou art my Son: to-day have I begotten thee . . . Desire of me and I shall give the heathen for thine inheritance, and the bounds of the earth for thy possession? "This inheritance, then, that was given Him by the Father He subordinated to His apostles and prophets, by subduing those that believed on Him to their words agreeably to the above prophecies. And the Word of God, of Whom I have discoursed so much, after accomplishing all things in His appearance among men, "ascended with a shout." This is interpreted by the apostle, who says: "That he ascended, what is it but |4 that he also descended first to the lower parts of the earth? He that descended is the same as He Who ascended far above all heavens." And he says that He ascended with a shout, because of the companies of angels proclaiming His Divinity as He went up, who also said: "Open your gates, ye rulers, and be ye lift up, ye everlasting doors, and the King of glory shall come in." And you would not err in identifying the sound of the trumpet with the preaching of the Gospel heard in all the world. For as the trumpet is the loudest of all musical instruments, it seems a fit symbol to shew forth that the teaching given to all men about Christ is proclaimed in stronger and louder tones than any other teaching has ever been, by which as by a trumpet for the hearing of all men the Holy Spirit shouts and cries what follows in this Psalm, "Sing to the Lord, sing, sing to our King, sing, That God is King "not only of the Jewish race in the future, he says, but "of all the earth, sing with understanding." No more the daemons of old, he says, no more the earth-bound and weak spirits, but God Himself rules over all the nations, God Himself, Who sits upon His holy seat. How it is said that God will come dearly to Men, and will call all Races of Men io Himself. HERE the divine prediction clearly prophesies that God will come manifestly, meaning none other but the Word of God. And it shews the reason of His coming, again emphasizing the calling of all nations of the world. For it says, "He (d) has called the earth from the rising of the sun to the setting"; and it teaches that the rejection of the outward worship according to the Mosaic Law will follow hard after His Manifestation and the calling of the Gentiles, a worship which actually ceased after the manifestation of the Word of God to all men. For from that day to this all men throughout all the world have been called, and all the nations of the east and west. And the Jewish worship has ceased (262) and been abolished, all men being called to worship according to the new Covenant of the preaching of the Gospel, and not according to the Law of Moses. We might also apply these prophecies to our Saviour's second and glorious Coming. That God is said to be about to be seen on Earth through the Manifestation of the Christ to Men. The Coining of Christ on Earth, and His Kingdom over the Gentiles, and the New Song which shall be given, not to Israel but to the Gentiles. (b) HERE again the Coming of the Lord to men is foretold, and that a new song shall be sung at His Coming, by which is meant the new Covenant, by the whole earth, not by the Jewish race; and that the good news will be no longer for Israel, but for all the nations, since it says that the Lord Who is to come will be their King. But who could this be but God the Word, Who, intending to judge the world in righteousness and the human race in truth, reckons all men in the world equally worthy of His call, and of the salvation of God consequent thereon? The New Song, the Knowledge of the Heathen of the Lord's Righteousness and His Own Coming as Judge of the Universe. IT is prophesied here that the Coming of the Lord will be the cause of great benefits to the nations, which have been proved to have actually accrued to them, through the manifestation of our Saviour. For of a truth from then and not before the new song of the new Covenant has been sung among all men, and His wonders have been known (264) and heard by all men through the written gospels. Yea, and salvation also, by the Resurrection of the Lord from the dead, has been revealed to all nations, and the true righteousness, by which it has been clearly proved, that God is not the God of the Jews only, but of the Gentiles. "Since there is one God," in the words of the holy apostle, |7 "who will judge the circumcision from their faith, and the uncircumcision through faith." And the words, "for he cometh to judge the earth," might refer also to His second Coming." The Word of God sent forth for the Healing and Salvation of Souls Long Time afflicted with Evil. To this is added quite in the prophetic manner a veiled prediction of the change of the long-time desert and thirsty land, referring either to the individual soul, or to the turning of the Gentile Church to holiness, and of its fertility in divine words. This is clearly predicted in a veiled way, when it says, "He made the desert into pools of water," and that which follows. But to understand this one must have wisdom from God; according to the monition at the end of the Psalm, which says, "Who is wise, and he will (d) keep this? "and that which follows. From Psalms cxvii. and cxviii. The Calling of the Gentiles, God Manifested, and Pressed is He that cometh in the Name of the Lord. The Descent of the Lord from Heaven for Men's Salvation, (d) and the New Song sung thereafter, which is the Song of the New Covenant. I CONSIDER this to be connected with my present subject. (267) For in his wonder at the knowledge of God the Word coming to men, the Psalmist is astonished above measure at the love by which He descends from His Divinity, and lessens His natural Majesty, and reckons the human race worthy of bearing Him. So here he prays, saying, "Lord, bow the heavens and descend." While in the Seventeenth Psalm it is written, "And he bowed the heavens, and descended, and it was dark under his feet. And he rode upon Cherubim, and flew, he flew upon the wings of the winds," wherein there is a prophecy of His Ascension (b) from earth to heaven. And when there is a fit opportunity I will shew that we must understand the Descent and Ascension of God the Word not as of one moving locally, but in the metaphorical sense which Scripture intends in the use of such conventional terms. The Word of God sent on Earth, and in a Short Time running through All Nations. "HE that sendeth his word on earth, until his word runs swiftly." He that sends is evidently distinct from Him that (268) is sent. You have then, here, both the Sender, the Almighty God, and also the Word that was sent, Who having many names is called by the holy oracles now Wisdom, now Word, now God, and also Lord. And as you know how in a very short time the word of His teaching has filled the whole world, I am sure you will wonder at the fulfilment of the prophecy, "Till his word runs swiftly." From the Second Book of Kings [= 2 Samuel]. (c) The Lord descending from Heaven, Leader of the Nations that before knew Him not, and about to cast off the Jewish Nation. You will find similar sayings in the Seventeenth Psalm, about which I have already given my views. From the Third Book of Kings [ = First Book of Kings]. God descending from Heaven, and dwelling with Men on Earth. "And it shall come to pass when thy days shall have been fulfilled, and thou shalt sleep with thy fathers, that I will raise up thy seed after thee, who shall come from thy body, and I will prepare his kingdom. He shall build a house to my name, and I will establish his throne for ever. I will be to him a father, and he shall be to me a son." Concerning the Descent from Heaven to Men, and concerning the Fall of the Jewish Nation at His Coming, and the Incorporation of All the Other Nations. "5. For the impiety of the House of Jacob is all this done, and for the transgression of the House of Israel. What is the impiety of the House of Jacob? Is it not Samaria? And what is the sin of Judah? Is it not Jerusalem? 6. And I will make Samaria a lodge of the field, and a plantation of a vineyard, and I will draw down to chaos the stones thereof, and will hide the foundations thereof." "12. Evil hath descended from the Lord on the gates of Jerusalem, the noise of chariots and horsemen." "15. O glory of the daughter of Jerusalem, shave and cut off thy choice children. Enlarge thy widowhood, as an eagle, when thy captives are led from thee." "Sion shall be ploughed as a field, and Jerusalem shall be as a granary, and the mount of the house as a grove of the wood." Sion and Jerusalem and the so-called "mount of the house" are what were represented before in, "And the mountains shall be shaken from beneath him, and the valleys shall be melted as wax before the fire for the iniquity of Jacob." For the mountains and the dwellers thereon were besieged for the iniquity they had wrought against Him soon and not long after Mount Sion was burned and left utterly desolate, and the Mount of the House of God became as a grove of the wood. sake of which the Heavenly Word has come forth from His own place. "And in the last days the Mount of the Lord shall be glorious, prepared upon the tops of the mountains, and it shall be exalted above the hills, and peoples shall haste unto it, and many nations shall come and say, Come, let us go up to the Mount of the Lord, and the house of the God of Jacob, and they will shew us his way, and we will walk in his paths. For out of Sion shall come forth a law, and the word of the Lord from Jerusalem, and he will judge in the midst of the nations." One can learn at one's leisure in what sense such prophecies of the Call of the Gentiles are to be understood, and that they were only fulfilled after the coining of our Saviour. And the opening of the prophecy is in full agreement with I the truth that the Lord descended not only for the salvation of the Jewish race, but for that of all nations, in proclaiming to all peoples and all the inhabitants of the earth, saying, "Hear all peoples, and let the earth attend, and all that are |17 therein." And it darkly foretold the witness of the Passion of our Lord, adding, "And the Lord our God shall be for a witness." "2. And thou, Bethlehem, house of Ephratha, art the least to be among the thousands of Judah, out of thee shall come forth for me a leader, to be for a ruler in Israel, and his goings-forth are from the beginning from the days of eternity." Note with care how he says that the goings forth of Him that shall appear at Bethlehem are from above and from eternity, by which he shews the pre-existence and essential origin of Him that is to come forth from Bethlehem. Now if any person can apply the oracle to any one but Jesus, let him shew who it is; but if it is impossible to find any one but our Lord Jesus Christ, Who is the only Person after the date of this prophecy Who came forth thence and attained to fame, what should hinder us from acknowledging the truth of the prophecy, which directs its prediction on Him only? For He alone of all men is known to have come forth from the before-named Bethlehem after the date of the prophecy, putting on a human shape, and what had been foretold was fulfilled at His coming. For at once and not after a long time the woes that were foretold fell on the Jewish nation, and blessings in accordance with the prophecies on the nations as well, and He Himself, our Lord and Saviour Who came from Bethlehem, was shewn to be the ruler of the spiritual Israel, such being the name of all people of vision and piety. Note too that it is said that the goings-forth of His Divine Pre-existence are from the beginning and from the days of eternity, which would not agree with mere humanity. "6. Wherewithal shall I reach the Lord, and lay hold of my God most high?. Shall I reach him by whole burnt-offerings, by calves a year old? 7. Should I give my firstborn for my ungodliness, the fruit of my body for the sin of my soul?" "8. Has it not been told thee, O man, what is good? And what does the Lord require of thee, but to do judgment, and to love mercy, and to be ready to walk after thy God? " You have then in this prophecy of the Descent of the Lord among men from heaven, many other things foretold at the same time, the rejection of the Jews, the judgment on their impiety, the destruction of their royal city, the abolition of the worship practised by them of old according to the Law of Moses; and on the other hand, promises of good for the nations, the knowledge of God, a new ideal of holiness, a new law and teaching coming forth from the land of the Jews. I leave you to see, how wonderful a fulfilment, how wonderful a completion, the prophecy has reached after the Coming of our Saviour Jesus Christ. That it was prophesied that the Word of God that cometh will come and will not tarry. "Cast not away then your confidence, which has great recompense of reward. For ye have need of patience, that, doing the will of God, ye may receive the promise. For yet a little while, and he that cometh will come, and will not tarry. And the just shall live by my faith. And if he draw back, my soul hath no pleasure in him." And note how clearly the Epistle arranges what was obscure in the prophetic writing, because of the inversion of the clauses. For the prophecy says," He that cometh will come and will not tarry, and adds, "If he draw back, my soul hath no pleasure in him," and this addition would seem to refer to him that cometh and doth not tarry, which is absurd. For how could it be said of him that God takes no pleasure in him? But the placing side by side of the divided clauses by a change in the arrangement of them preserves the sense. For after, "Yet a little while and he that cometh will come and shall not tarry," it adds next, "The just shall live by my faith. Then what was first in the prophecy it places second in, "And if he draw back my soul taketh no pleasure in him." For as Scripture has already once foretold through the prophecy, that the light promised, to all nations by Christ's Coming "shall rise late and in the evening, and shall not deceive" (for so Aquila interprets instead of "come to nothing,") it next exhorts to patience, because the coming of the subject of the prophecy is to be late and in the evening, in the words, "If he tarry await him, or if he delay expect him, for he that cometh |20 will come and will not tarry," and encourages the hearer to trust the prediction, saying, that he that trusts it, shewn by his very faith to he just, shall live the life according to God, as on the other hand he that does not trust, drawing back through lack of boldness, and putting no faith in the words, "My soul hath no pleasure in him." So, then, if we follow this course and place the first clause last, and the last first, we shall preserve the sense of the passage, putting, "The just shall live by my faith," after, "For he that cometh will come and will not tarry," by transposing the clauses, and (278) adding to this, "If he draw back my soul taketh no pleasure in him." And Aquila agrees with this interpretation saying, "If he delay, expect him, for he that cometh will come, and will not tarry. Lo, if he be sluggish, my soul is not true in him, and the just shall live by his faith." That the Heating about the Descent of the Lord from Heaven is Terrible, and His Works Wonderful, and at His Coming the Whole Earth shall be filed with His Praise, when the Word of His New Covenant shall pervade all Men. (d) LISTENING to himself, or rather to the divine prophetic spirit within him, which said of the subject of the prophecy, "He that cometh will come, and will not tarry, and the just shall live by my faith," and believing as a just man in the oracle, the holy prophet says in the passage before us, "O Lord, I have heard thy report, and I was afraid," and the words that follow in which he clearly announces that God will come to men. And who could this be who was known of old, and was to be known afterwards when the time drew near, and (279) was to be shewn forth at the date predicted, but that same Being before shewn to be the second Lord of the Universe, who agreeably to the prophecy at the end of the ages has |21 been proclaimed for all to hear? It was surely His works that are written in the Holy Gospels, and it was clearly His Birth from the Virgin Tabernacle whence he sprang, and how "being in the form of God, he thought it not a thing to be grasped at to be equal with God, but emptied himself, taking the form of a slave," and it was the miracles He performed among men, and the insults offered to Him by the Jewish race that the prophet anticipated with the eyes of his soul; and learning of the Holy Spirit his Teacher what would accrue to minds purified from sin, he confessed that he was astonished and afraid at what he heard, and said, "Lord, I have heard thy report, and I was afraid, I understood thy works, and was astonished." To this the prophet adds: "When my soul is troubled thou wilt in wrath remember mercy," teaching that when he foresaw the time of the Passion of the Subject of the prophecy he was troubled in spirit. Yet at that very time, he says, in which I was troubled in spirit, though at no other time such anger ever threatened men for the impiety dared against their Lord, the Lord of Love Himself in place of wrath remembered mercy, as the Son of the good Father. For His Passion became to all the world the ground of God's salvation and mercy. To this is added: "God will come from Thaeman." And Thaeman translated into Greek is "consummation," so that it means simply, "God will come at the consummation." For at the consummation of the age and in these last days the kindness of the God of the Universe has been made evident to us through our Saviour. "8. I saw the night, and behold a man sitting on a bay horse, and he stood in the midst of the shady mountains." That the Almighty Lord states that He is sent by Another Almighty Lord for the Destruction of the Wicked. How the Lord foretells that He will come from Heaven and dwell among Men, and that the Nations will flee to Him, and He states that the was sent by Another Almighty Lord stronger than Himself. As it is now my object to unfold from the prophets the second cause of our Lord's living our life on earth, the prophecy before us appears to state it so clearly that it hardly needs any elaboration. You will notice that He gives the cause of His coming, where He says, "And many nations shall flee unto the Lord in that day, and they shall be to me for a people." And the Word announces this to the daughter of Sion, calling the Church of God by this name, through her seeming to be the daughter of the heavenly Jerusalem, she that is the mother of the Saints, according to the holy apostle. Or the Church of God might be called the daughter of Sion for another reason as one separated from the former congregation of the Jews by the apostles and evangelists, who also were the children of a mother divorced for her own impiety, and a widow because she had driven away her Husband, Who rebuked her by the prophets and said, "Hast thou not called me as a husband, and father, and leader of thy virginity?" And accusing their mothers ways also to them that were born of her He says: "Where is the bill of thy mother's divorcement, by which I rejected her?" And again: "Judge the cause of your mother, judge it, because she is not my wife, and I am not her husband." Of the Coming of the Lord, and of the Events of His Passion. AFTER the first siege of Jerusalem, and its total destruction and desolation by the Babylonians, and after the Return of the Jews from their enemies' land to their own, which came to pass in the time of Cyrus king of Persia, when Jerusalem has just been restored, and the Temple and its Altar renewed by Darius the Persian, the present prophecy foretells a second siege of Jerusalem which is to take place afterwards, which it suffered from the Romans, after its inhabitants had carried through their outrage on our Saviour Jesus Christ. Thus the coming of our Saviour and the events connected therewith are very clearly shewn in this passage—I mean what was done at the time of His Passion, and the siege that came on the Hebrew race directly after, the taking of Jerusalem, the call of the Gentiles also, and the knowledge attained by all nations of the one and only God. But the inspired prophet pathetically bewails the woes of the Jews as those of his own people, and begins his prophecy with a cry against them. He means by "days of the Lord," here as well as in other places, the time of our Lord's presence among men. And he clearly shews how the Lord Himself, as being the true Light, will become some day the maker of His own days, and will shine on all men in the world, all the nations receiving Him and the rays of His light, when all nations are enlightened, according to the words, "I have set Thee for a light to the Gentiles, for a covenant of my race," and the Jewish nation through their unbelief will fall into great trouble. And after the siege of Jerusalem, and the captivity of the Jews which succeeds it, he next adds a prophecy of good things for all: "And the Lord shall be King over all the earth." And again: "There shall be one Lord, and his name one, encircling all the earth and the wilderness." But who would not be surprised at the fulfilment of a prophecy which revealed that the Jewish people would undergo these sufferings in the days of the Lord? For as soon as Jesus our Lord and Saviour had come and the Jews had outraged Him, everything that had been predicted was fulfilled against them without exception 500 years after the prediction: from the time of Pontius Pilate to the sieges under Nero, Titus and Vespasian they were never free from all kinds of successive calamities, as you may gather from the history of Flavius Josephus. It is probable that half the city at that time perished in the siege, as the prophecy says. 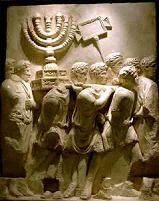 And not long after, in the reign of Hadrian, there was another Jewish revolution, and the remaining half of the city was again besieged and driven out, so that from that day to this the whole place has not been trodden by them. Now if any one supposes that this was fulfilled in the time of Antiochus Epiphanes, let him inquire if the rest of the prophecy can be referred to the times of Antiochus —I mean the captivity undergone by the people, the standing of the Lord's feet on the Mount of Olives, and whether the Lord became King of all the earth in that day, and whether the name of the Lord encircled the whole earth and the desert during the reign of Antiochus. And how can the fulfilment of the remainder of the prophecy in the days of Antiochus be asserted? But, according to my interpretation, they are fulfilled both literally and also in another sense. For after the coming of our Saviour Jesus Christ, their city, Jerusalem itself, and the whole system and institutions of the Mosaic worship were destroyed; and at once they underwent captivity in mind as well as body, in refusing to accept the Saviour and Ransomer of the souls of men, Him Who came to preach release to those enslaved by evil daemons, and giving of sight to those blind in mind. And while they suffered through their unbelief, those of |28 them who recognized their Ransomer became His own disciples, apostles and evangelists, and many others of the Jews believed on Him, of whom the apostle says, "So also now there is a remnant according to the election of grace." And "If the Lord of Sabaoth had not left unto us a seed we should have been as Sodom, and we should have been like unto Gomorra." They were preserved safe from the metaphorical siege, and also from the siege literally understood. For the apostles and disciples of our Saviour, and all the Jews that believed on Him, being far from the land of Judaea, and scattered among the other nations, were enabled at that time to escape the ruin of the inhabitants of Jerusalem. And the prophecy anticipated and foretold this where it said, "And the remnant of my people shall not be utterly destroyed." To which it adds afterwards, "And the Lord shall go forth, and shall fight for those nations, as a day of his battle in the day of war." For which nations will the Lord fight, but for those that shall besiege Jerusalem? The passage shews that the Lord Himself will fight for the besiegers, being among them and drawn up with them, like their general and commander warring against Jerusalem. For it does not say that the Lord will fight against the nations. With whom and against whom, then, will He fight? Surely against Jerusalem and her inhabitants, concerning whom it is spoken. And the words, "And his feet shall stand in that day on the Mount of Olives, which is before Jerusalem to the eastward," what else can they mean than that the Lord God, that is to say the Word of God Himself, will stand, and stand firm, upon His Church, which is here metaphorically called the Mount of Olives? For as "My Beloved had a vineyard," and "There was a vineyard of the Lord of Sabaoth," are used in a figurative sense of "the house of Israel and the plant of Judah His beloved vine," so also we may say in the same sense that the Church of the (d) Gentiles has become an olive-garden to the Master, which of old He planted with wild olives, and grafted them on the apostolic roots of the good olive after cutting away the old branches, as the apostle teaches. And the Lord planted it for Himself, saying as much in the prophecy: "The Lord hath called thy name a beautiful and shady olive." For when the first vineyard should have brought forth |29 grapes it brought forth thorns, and not justice but a cry, God rightly withdrew from it as unfruitful, its mound and its wall, and gave it to its enemies, "to rob and to tread down," according to the prophecy of Isaiah, but established another field for Himself, here named "the olive-garden," as that which had obtained God's mercy, and been planted by Christ with ever-flourishing plants, that is with souls that are holy and nourish the light, which can say, "I am like a fruitful olive-tree in the house of God." "22. And the Cherubim lifted their wings, and the wheels beside them, 23. and the glory of the God of Israel was on them above them, and he stood on the mount which was opposite to the city." "While they beheld he was taken up, and a cloud received him out of their sight. And as they gazed steadfastly into heaven while he went up, behold two men stood by them in white apparel, who also said, Ye men of Galilee, why stand ye gazing into heaven? This same Jesus that is taken up from you into heaven shall so come in like manner as ye have seen him go into heaven." To which he adds: "Then they returned from the mount called the Mount of Olives, which is opposite to Jerusalem." The Mount of Olives is therefore literally opposite to Jerusalem and to the east of it, but also the Holy Church of God, and the mount upon which it is founded, of which the Saviour teaches: "A city set on a hill cannot be hid," raised up in place of Jerusalem that is fallen never to rise again, and thought worthy of the feet of the Lord, is figuratively not only opposite to Jerusalem, but east of it as well, receiving the rays of the divine light, and become |31 much before Jerusalem, and near to the Sun of Righteousness Himself, of Whom it is said: "And on them that fear me shall the sun of righteousness arise." And if it says next: "That the Mount of Olives shall be divided, half of it to the east and towards the sea, a very great chasm, and half of it shall lean towards the north, and half of it towards the south," it possibly shews the expansion1 of the Church throughout the whole inhabited world, for it has filled the east, and the western and eastern nations; it stretches to the western sea, and the isles therein; yea, it has reached to west and south, and to north and north-east. On all sides and everywhere the Church figuratively called the Olive of the Lord is planted. And it is possible that by its division is figuratively meant the schisms and heresies and moral declensions in everyday life that have taken place in the Church of Christ, and are even now taking place; for it says, the mountain shall be divided, half of it towards the east and the sea, a very great chasm, and half of it shall lean towards the north, and half of it towards the south, as being divided into four parts, two of which are worthier and better, and two the reverse. And note in this passage how the part to the east and the part to the south may refer to two sections of those who have made progress in the things of God, the first those who are perfected in knowledge and reason and the other graces of the Holy Spirit; and the second, those who live a good life but pass their time in ways self-chosen. And the other two parts separated from the first, one to the sea and one towards the north, both signify tendency to evil. For "from the face of the north," he says, "shall be burned the evil of all the inhabitants of the earth," while the Dragon is said to have his home in the sea. So that, probably, two kinds of character in those that fall away from the Church, the morally sinful, and the one who slips away from healthy and orthodox knowledge, are here |32 figuratively represented by the prophecy as divisions in the Mount of Olives. To this he adds afterwards: "And the valley of my mountains shall be closed up, and the cleft of my mountains shall be joined unto Asael, and shall be closed up as it was blocked up in the days of the earthquake in the days of Ozias king of Judah." What can God's "valley of mountains" mean here, but the outward Jewish worship according to the Mosaic Law practised for long ages before in Jerusalem, which the present prophecy foretells is to be cut off, as if it were closed up, saying: "And the valley of my mountains shall be closed up, and the cleft of mountains shall be joined unto Asael, and shall be closed up"? Instead of which Symmachus translated: "And the valley of my mountains shall be closed up, and also the cleft of mountains shall approach that which is beside it, and shall be closed up," shewing the cause of the closing up of the valley. And what was this', but that it came near and approached what was beside it? And this mount of the Lord was the before-named Mount of Olives, which is called Asael in the Septuagint. And this word means in Hebrew "Work of God." And so, he says, the ancient valley coming near to the mountains, and to the Christian Church, and to the work of God, will be closed up and shut off, as it was closed up before the earthquake in the days of Ozias king of Judah. Though I have set myself to the task of inquiring, and gone through the Holy Scripture to discover if the valley mentioned here was "closed up before the earthquake" in the days of Ozias, I have found nothing in the Books of Kings, for there was no physical earthquake in his time, nor is anything recorded in those books such as is here told about the valley. This I take from the work of Josephus on Jewish Antiquities. And I found in the beginning of the Prophet Amos the statement that he began to prophesy "in the days of Ozias, king of Judah, two years before the earthquake." What earthquake he does not clearly say. But I think the same prophet further on suggests this earthquake, when he says: "I saw the Lord standing on the altar. And He said, Strike the altar, and the doors shall be shaken, and strike the heads of all, and the remnant I will slay with the sword." Here I understand a prediction of the earthquake, and of the destruction of the ancient solemnities of the Jewish race, and of the worship practised by them in Jerusalem, the ruin that should overtake them after the coming of our Saviour, when, since they rejected the Christ of God, the true High Priest, leprosy infected their souls, as in the days of Ozias, when the Lord Himself standing on the altar gave leave to him that struck, saying: "Strike the altar." For He shewed this in effect, when He said: "Your house |34 is left unto you desolate." Concurrently, too, with His Passion "The veil of the Temple was rent from the top to the bottom," as Josephus records as happening also in the time of Ozias. Then, first the courts were shaken, when the earth was shaken at the time of His Passion, and not long after, they underwent their final ruin, the striker received authority and struck upon the heads of all. And so we see how at this time the valley of the mountains of God was closed up, as was done in the days of Ozias. Actually and literally in the siege by the Romans, in the course of which I believe such things happened, and figuratively, also, when the outward and lower worship of the Mosaic Law was prevented any longer from activity by the earthquake which according to his prophecy came upon the Jewish race, and by the other causes recorded. "And in that day there shall be no light, but frost and cold shall be for one day, which is known to the Lord, not day nor night, but at eventide it shall be light." And this day, he says, was known to the Lord, and was not |35 night. It was not day, because, as has been said already, "there shall be no light"; which was fulfilled, when "from the sixth hour there was darkness over all the earth until the ninth hour." Nor was it night, because "at eventide it shall be light" was added, which also was fulfilled when the day regained its natural light after the ninth hour. And this was fulfilled figuratively as well, generally in the Jewish race, darkness, cold, and frost coming on them after their outrage on the Christ, their understanding being darkened, so that the light of the Gospel should not shine in their hearts, and their love to God waxing cold, and then at eventide the light of the knowledge of the Christ arose, so that they who sat of old in darkness and the shadow of death saw a great light, in the words of the prophet Isaiah. "If thou knewest who it is that saith to thee, Give me to drink, thou wouldst have asked of him, and he would have given thee living water." This was the living water, then, that came forth from Jerusalem? For it was thence that its Gospel went forth, and its heralds filled the world, which is meant by the words: "The living water shall go forth to the first sea and the last sea," by which is meant the bounds of the whole world, that toward the Eastern Ocean being called "the first sea," that toward the West being meant by "the last sea," which, indeed, the living water of saving Gospel teaching has filled. Of which He also taught, when He said: "Whosoever shall drink of the water, which I shall give him, shall never thirst." And again He says: "Rivers of living water shall flow out of his belly, springing |36 up into everlasting life." And again: "If any thirst, let him come unto me and drink." Then after the refreshing saving spiritual blood has fallen on every race of mankind from Jerusalem, which is more clearly described in another place in the words: "A law shall go forth from Sion, and the Word of the Lord from Jerusalem, and it shall judge in the midst of the nations," it says: "The Lord shall be King." He shall not be King in Jerusalem, nor of the Jewish race; but, over all the earth in that day. And this agrees with what I have quoted from the Psalms, where it was said: "The Lord reigneth over the nations," and also: "Tell it among the nations, the Lord reigneth." The prophecy is that this will be fulfilled in the days of the Lord. For the whole prophecy opens with: "Behold, the days of the Lord come, and these things shall come to pass." And what is meant by "these things," but the siege of Jerusalem, and the passing of the Lord to the Mount of Olives, according to the words, "The Lord shall come," and the events of the day of His Passion, and the living water, flowing in all the world, and to crown all, the Kingdom of the Lord ruling over all the nations, and His One Name, filling all the earth—in short, what I have briefly shown to be fulfilled? It is prophesied that the God of the Prophets, having laid down the Complete Way of Knowledge by the Mosaic Law to the Jews, will some Day afterwards be seen on Earth, and mingle among Men. "Brother shall deliver brother to death, and father child, and children shall rise up against their parents and slay them." "Think not that I came to give peace on earth. I say not so unto you, but division. For there shall be from this time five in one house divided, three against two and two against three: For the father shall be divided from his son, and the son from his father, the mother against her daughter, and the daughter against her mother, the mother-in-law against the bride, and the bride against her mother-in-law." (d) How do those words differ from the prophet's cry concerning the coming of the Lord to Egypt: "Egyptians shall rise against Egyptians, and man shall war against his brother"? And the law of the new Covenant of Christ was raised against the law of polytheistic superstition, when the law of idolatrous nations warred against the teaching of Christ, and the city and polity of the Church of Christ took the |41 place of the polities of the heathen nations. And this explains "city against city, and law against law." It is the fact also that all the Egyptian idolaters, and the spirit of idolatry working in them, are even now conscious of their confusion, and though they make many plans against the teaching of Christ, to quench it, and abolish it from among (299) men, yet they are ever scattered by God, as it is said in the prophecy, "And the spirit of the Egyptians shall be disturbed within them, and I will scatter their counsel." "And they will inquire of their gods, and their idols, (b) and the familiar spirits." But when they flee, it says, to them that falsely appear to be gods, they will receive no help, for then will God chiefly deliver them to cruel kings and rulers, when under the influence of their daemons, and in their power, they arouse persecutions against the Churches of Christ. And, please, notice the fact, that until the appearance of our Saviour Jesus Christ all Egypt had its own kings, as a separate (c) and responsible state, and the Egyptians were autonomous and free, and their dynasty was great and famous through long ages, and it was after that date, when Augustus, in whose time our Lord was born, being the first Roman to subjugate Egypt, captured Cleopatra the last of the Ptolemies, that they came under the Roman power, laws, and enactments, losing their former autonomy and freedom. So that here also the prophecy is true, regarding first the governors (d) and rulers sent out to those places, and the other officials in their several positions, saying, "And I will deliver Egypt into the hand of cruel rulers," and also in what follows regarding the general conduct of the government. Instead of which Aquila says, "And a mighty king shall reign over them." And Symmachus, "And a strong king shall reign over them." Thus the kingdom of Rome seems to be meant, which has bound with bridle and bond not only the Egyptians, the most superstitious of men, but all other men as well, so that they dare no longer to blaspheme against the Church of our Saviour Jesus Christ. And after (300) |42 this the prophecy proceeds to darker and disguised sayings, which require longer and more profound allegorical interpretation, which in the proper place shall receive their proper exposition at leisure when with God's help I treat of the promises. A Promise of Good Things to the Church of the Gentiles, that before was deserted, and to Sick Souls the Manifest (c) Presence of God, and Marvellous Saving Acts. HERE also the Coming of God for salvation, bringing many blessings, is precisely foretold. The prophet says that there will be a cure for the deaf, sight for the blind, yea, even healing for the lame and tongue-tied, and this was only fulfilled at the Coming of our Saviour Jesus Christ, by Whom the eyes of the blind were opened, and the deaf regained their hearing; why need I say, how many palsied and deaf and lame also received physical cure by the hands of His (301) disciples? And how many others, afflicted with various diseases and maladies, received of Him healing and salvation, according to the inspired prediction of prophecy, and according to the unimpeachable testimony of the Holy Gospels? And the prophecy here disguises under the name of "desert" the Church of the Gentiles, which for long years deserted of God is being evangelized by those of whom we are speaking, and it says that besides other blessings the glory of Libanus will be given to the desert. Now it is customary to call (b) Jerusalem Lebanon allegorically, as I will show, when I have time, by proofs from Holy Scripture. This prophecy before us, therefore, teaches that by God's presence with men the glory of Libanus will be given to that which is called "desert," that is to say, the Church of the Gentiles. And for, "And the honour of Carmel," Aquila says, "the |43 beauty of Carmel, and of Sharon, they shall see the glory of (c) the Lord." Symmachus, "The grace of Carmel and of the plain, those shall see the glory of the Lord." And Theodotion, "The beauty of Carmel and of Sharon, they shall see the glory of the Lord." In which I think the prophet means, figuratively, not that Jerusalem, nor Judaea, but the land of the Gentiles will be counted worthy of divine knowledge. For Carmel, and that which is called Sharon were places that belonged to foreign races. That would be the literal meaning: but figuratively, even to-day, they that were before so blinded in soul, as to bow down to wood and stone and other lifeless substances, earth-bound daemons, (d) and evil spirits instead of the God of the Universe, and they that were deaf in the ears of their mind, and lame, and palsied in all their life, are even now being released from all these and many other sufferings and weaknesses by the teaching of our Saviour Jesus Christ, receiving far better healing and benefit than that of the body, and shewing forth clearly the divine and superhuman power of the presence of the Word of God among men. How the First and Everlasting Word of God, the Creator of (302) the Universe, confesses that He is even now sent by the (b) Lord His Father. How the Lord rebukes the Jewish People, because They will not receive Him when He comes, nor hear His Call, and what He will suffer at Their Hands. HERE the Lord Himself recording plainly His Coming among (303) men rebukes the Jewish people, because they will not receive Him when He comes, nor hear Him when He calls. And He teaches, as if by way of apology, that this is the cause of their own rejection. "For when I came," He says, "I was not among you as a man: I called, and there was none that heard: therefore," He says, "ye were sold for your sins, inasmuch as ye were of yourselves divorced from my call, not that I had given you a bill of divorcement." This is clearly (b) addressed to the Jews, and at the same time reveals their outrages on Him at His Passion, when it says: "I gave my back to scourges, and my cheeks to blows," and that which follows. But these words shall be properly interpreted at leisure. How the Same Lord that spake in the Prophets will come Among Men and be seen by Their Eyes, and be known to the Gentiles. THE prophecy of Christ's Passion immediately succeeds this in one and the same passage, which I shall expound at leisure. One and the same Lord, who said in the previous (304) quotation to the Jewish people, "You were sold for your sins, and for your iniquities I sent away your mother, because I came, and there was no man: I called and there was none |45 to hear," says in the passage before us to the Jews again: "Because of you my name is blasphemed among the Gentiles." Then, as though having another people besides them, he adds, "Therefore my people shall know my name," and teaches that not another, but the same Lord that spoke in the prophets, will sojourn some day in our life, saying, "I am he that speak; I will come." And the words, "As a season upon the mountains, as the feet of one preaching a message of peace, as one preaching good things, I will make thy salvation known, saying, Sion, thy God reigneth," the other translators make it clearer. For Aquila says: "How beautiful upon the mountains are the feet of Him that preacheth the gospel, who publisheth peace, who preacheth the gospel of good things, publishing salvation, saying to Sion, Thy God reigneth." And Symmachus says, "How lovely on the mountains are the feet of him that preacheth the gospel, making peace known, publishing good things, making salvation known, saying to Sion, Thy God reigneth": and instead of "The voice of thy guards is lifted, and they shall rejoice with the voice together, because they shall see eye to eye." Symmachus translates thus: "The voice of thy guards; they have raised their voice. Together, will they praise: For they will see openly." By "guards" would here be meant the holy apostles of our Saviour, who also saw openly Him that was foretold, and raised their voice preaching to all the world. Sion and Jerusalem that here have the good news told them the apostle knew to be heavenly, when he said, "But Jerusalem that is above is free, that is the mother of us," and, "Ye have come to Mount Sion, and the city of the: living God, heavenly Jerusalem, and to an innumerable company of angels." Sion might also mean the Church established by Christ in every part of the world, and Jerusalem the holy constitution which, once established of old time among the ancient Jews alone, was driven into the wilderness by their impiety, and then again was restored far better than before through the coming of our Saviour. Therefore the prophecy says, "Let the waste places of (305) |46 Jerusalem break forth into joy together, for the Lord has pitied her, and saved Jerusalem." Nor would you be wrong in calling Sion the soul of every holy and godly man, so far as it is lifted above this life, having its city in heaven, seeing the things beyond the world. For it means "a watch-tower." And in so far as (b) such a man remains calm and free from passion, you could call him Jerusalem—for Jerusalem means "Vision of Peace." After this the call of the Gentiles to the worship of God is very clearly shown in the words, "And the Lord God will reveal His holy arm before all nations; and the high places of the earth shall see the salvation of our God." And consider that the arm of the Lord is nothing else but the Word and Wisdom, and the Lord Himself, Who is the Christ of God. It is easy to shew this from many instances. In the Exodus you have Israel saved by the arm of God from (c) slavery to the Egyptians. While the prophecy before us says that that same arm of the Lord, which of old appeared to save His people will be revealed to all nations, as if it formerly were hidden from them. And "the salvation, which "he says "all the high places of the earth shall see," and which he mentioned before when he said, "I will make my salvation known," know that it is the Hebrew for the name of Jesus. How, again, the Coming of God the Word and the Gathering of All Nations is foretold. HERE also the Coming of the Lord to men is exactly foretold. And as it said, "He will come as fire," our Saviour rightly says, "I came to cast fire on the earth, and what will I, if it be already kindled?" You may say His "chariots" are His attendant divine powers, and the holy angels chosen |47 to minister to Him, of whom it is said, "and angels came and ministered to Him," and His holy apostles and disciples, borne up by whom, the Word of God with divine invisible power ran through all the world. One might also literally in another way connect fire and chariots with His coming, through the siege that attacked Jerusalem after our Saviour's Advent, for the Temple was burned with fire not long after, and was reduced to extreme desolation, and the city was encircled by the chariots and camps of the enemy, after which too the promises to the Gentiles were fulfilled in harmony with the prophecy. Who would not wonder hearing the Lord say by the prophet, "I come to bring together all nations and tongues," and then seeing throughout the whole inhabited world the congregations welded together in the Name of Christ through the Coming and the Call of our Saviour Jesus Christ, with the tongues of all nations in varying dialects calling on one God and Lord? To crown all, who beholding all them that believe in Christ using as a seal the sign of salvation, would not rightly be astounded hearing the Lord saying in days of old, "And they shall come and see my glory, and I will leave my sign upon them"? We see in part, indeed, now with our own eyes the fulfilment of the holy oracles as to the first Epiphany of our Saviour to man. May it be seen completely as well in His second glorious Advent, when all nations shall see His glory, and when He comes in the heavens with power and great glory. To that day the remainder of the prophecy must be referred, as I shall show in my own argument. As I have in this Book collected so many passages concerning the prophecies of the coming of God, my next task should be to connect with them an account of what was foretold as to the nature of His entry into human life.